Ace Aquatics is the leading aquarium and pond specialist company in Barbados and the proud "Living Color" representatives and product distributors in the island. At Ace Aquatics, we specialize in making dreams come true. Give us your vision and sit back and watch our dedicated team bring it to life. Ace Aquatics also carries a full selection of healthy, quarantined marine and freshwater tropical fish, corals, Japanese koi, water lilies, pond and aquarium plants. We are your one stop source for everything you need for an amazing collection. To teach people how to take better care of their pets in general and provide a greater understanding of aquaculture. To increase profitability by teaching the value and benefits of the items in our line of products as well as the value of purchasing quality livestock from inception. These objectives are underpinned by an ongoing commitment to continuous team development through education and training; both formal and informal. 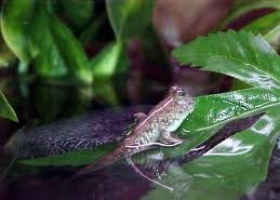 Ace Aquatics specializes in designing aquariums, ponds and water features. this is the key to an amazing water feature. Even Do-It-Yourselfers can benefit from tips from the experts. we can help you source, quarantine and stock top quality exotic fish for aquariums, ponds and even game lakes. It doesn’t take long before koi keepers become koi collectors. When that happens, they don’t just want “pretty fish,” they want Kohakus, Sankes, Showas, Hi Shusuis, Goromos and Asagis just to name a few. Ace Aquatics has built a reputation for stocking its ponds with top quality Japanese koi from certified, disease free koi farms as well as select local breeders. 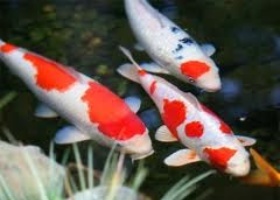 If authentic Japanese koi and exquisite colours and markings are what you want in your pond, give us a call. Yes mudskippers are a fish, however, they can actually drown if they don’t get to land to breathe. You’re far more likely to see them in an exhibit at the Barbados Wildlife Reserve than in a pet store. If its the type of fish you’re looking for though, Ace Aquatics can not only source, but also create a display to satisfy their unique needs. at Alang Alang Bay is second to none.